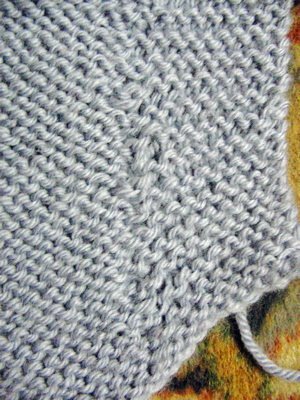 Here are my adventures in wrapping rows for short row shaping. It's not pretty, so if you're at all squeamish, please turn away now! The first two pictures show the piece (it's the back of the jacket) from two different angles, and so far, it's ok. 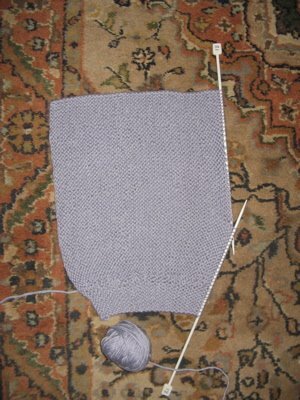 If you squint, you can even see the shaping. Yikes! See what I mean? 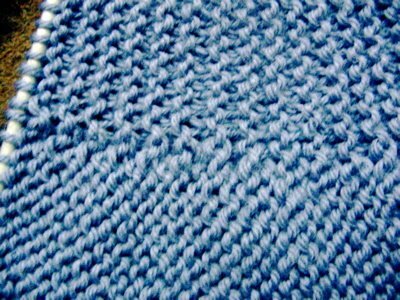 Now off you go and look at some pretty knitting instead! And no, I am not going to frog this. No. 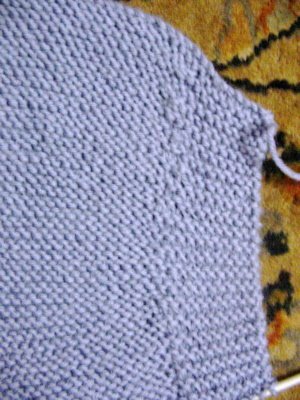 I admire the fact that you gave short row shaping a try! I’ve read articles about it and can’t even understand them! Swapna, you are so funny! hi swapna! hilarious blog. and wonderful to meet another desi knitter! 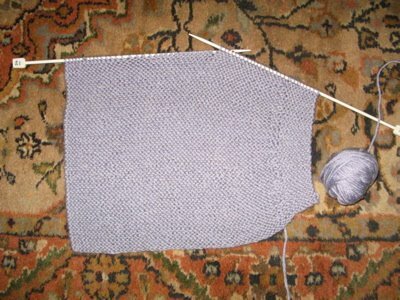 i am very bad at crochet, but like you, am suffering the problems of short-rowing right now. have you seen this article on short-rowing? Can you do a post on where you buy your yarn and what yarns are available in Vizag? I had no idea Vardhaman made fun fur.